Diadora’s story begins where it continues to develop today – in the Montebulluna Hills region of Italy. Founded in 1948 by Marcello Danieli, who entered the footwear industry at a young age, he developed and introduced the brands first product – a mountain climbing boot, with a little help from his wife. The boots gained a reputation throughout Italy for their high quality construction and durability, hand made from premium materials, the boots gave Diadora the platform they needed to grow. Along came the 60’s, a time where people were beginning to enjoy recreational sports and Skiing had become hugely popular. 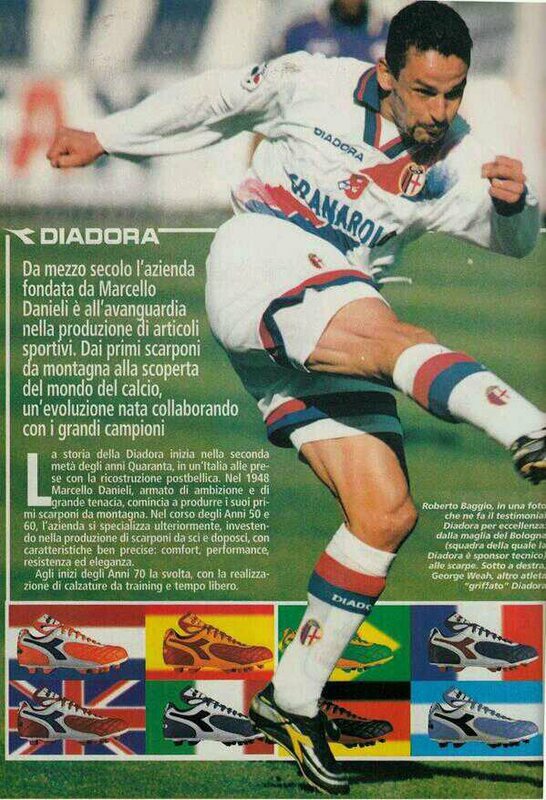 Danieli saw an opportunity in this, and Diadora began developing its product range to manufacture ski-boots, meeting the needs of the consumer. 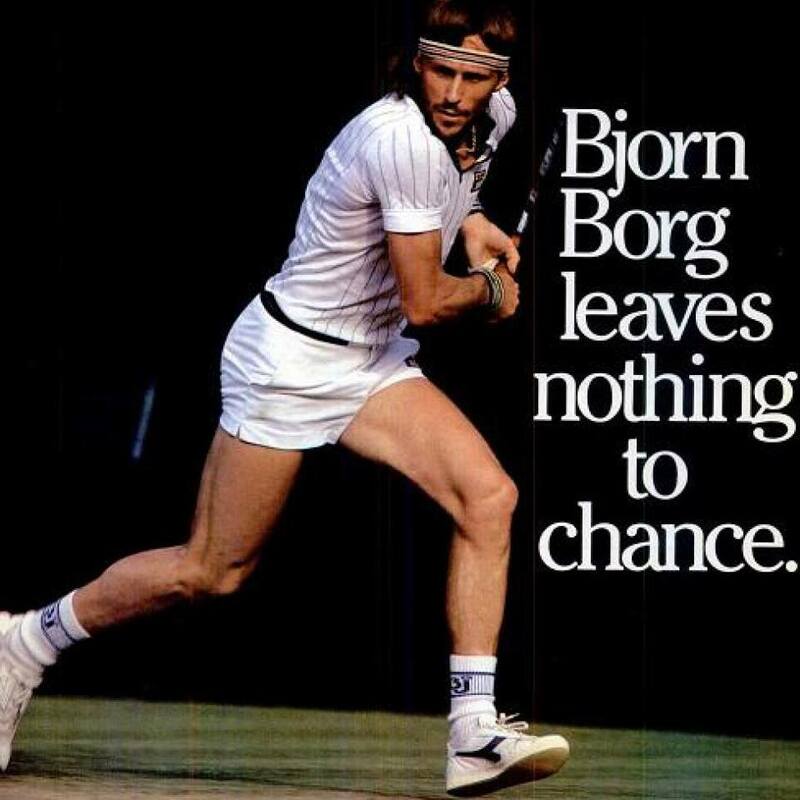 Similar developments saw the brand branch out into other areas, including walking and running shoes, as well as Tennis Shoes which would see the likes of Bjorn Borg become ambassadors for Diadora. As the interest in athletics and sports boomed in the 70’s, this also lead to a boom in the sporting goods market and Diadora again looked to capitalise. Increasing their shoes functionality and technical features they were competing with other high profile companies, as well as working with champion sportsmen to further develop their products and the brand itself. The next step for the brand was to move into Football (or Soccer for our American friends), aided by ex Italian footballer Robert Bettega. Diadora has since come on leaps and bounds in the football market with several high-profile footballers under their sponsorship and notable kit-deals, all of which helped them gain a huge market share in the industry. Despite always being around, some may argue that Diadora may not have been as prominent in the sports or lifestyle market as they were in the past. Having recently celebrated their 60th year anniversary, the brand is now looking to bring itself into modern day whilst still referencing the heritage that has made the Italian giants so great. Much of the brands products are still produced in Italy, allowing them to take charge of quality control and ensuring that all products meet the standards that propelled the brand into becoming a household name back in 1948. Through combining influences from sports and music, as well as looking for new collaborative ventures, Diadora are certainly starting to make noise on the lifestyle scene with key styles gaining attention from stores across the globe. We are extremely excited to add Diadora to our range here at Urban Industry with the N9000 silhouette taking centre stage. Originally introduced in the early 90’s the latest iteration of the N9000 model stays true to the original, which was a true breakthrough in performance shoes for the company as it integrated comfort and stability in its construction. Its sleek design has been the one spearheading the brands recent resurgence with its complex panelling allowing for creative colour treatment and material reworks. The N9000 is also joined by the Titan II re-issue in retro colour treatments, which also offers up several technical features and premium material treatments on the upper.